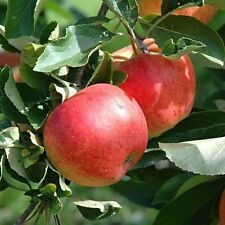 Malus domestica Mixed Varieties APPLE TREE Seeds! CORYLUS AVELLANA - HAZEL NUTS- 5 GOOD SEEDS TESTED OUT OF BATCHES. 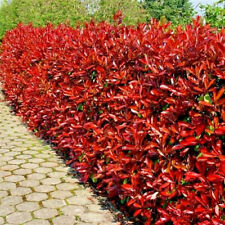 10 Christmas Berry / Photinia fraseri 'Red Robin' 20-30cm Tall in 9cm pots. Genus: Photinia. Beechwood Nurseries are based in N.Ireland and have been growing plants since 1997. Cultivar: 'Red Robin'. It also takes very well to being grown as a hedging plant producing superb hedges that can be used in formal or informal settings. Beechwood Nurseries are based in N.Ireland and have been growing plants since 1997. 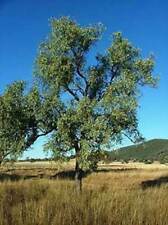 A large deciduous tree 25–35 m tall (exceptionally to 50 m), with lobed and nearly sessile (very short-stalked) leaves 7–14 cm long. 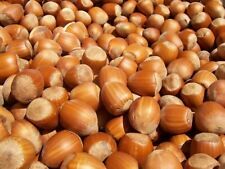 The acorns are 2–2.5 cm long, pedunculate (having a peduncle or acorn-stalk, 3–7 cm long) with one to four acorns on each peduncle. 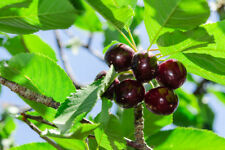 Hedelfinger Cherry Tree 4-5ft Tall, Ready to Fruit. 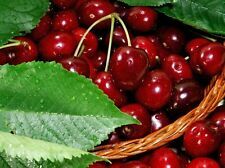 Juicy & Sweet Dark Cherries. Cherry tree - Prunus 'Hedelfinger Riesenkirsche'. Beechwood Nurseries are based in N.Ireland and have been growing plants since 1997. 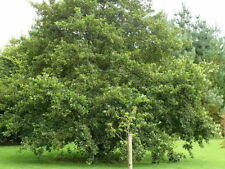 Golden Delicious Apple Tree 4-5ft, Self-Fertile, Very Sweet Flavour. 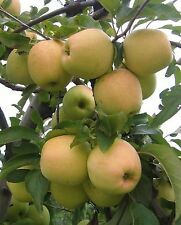 Golden Delicious is a large, yellow skinned apple which is very sweet to the taste.It is sweeter than the Granny Smith and is a favorite for salads, apple sauce, and apple butter. It can be used both for dessert and cooking purposes, and it also has an attractive appearance - which can indeed be golden if left to mature on the tree. Williams' Bon Chrétien Pear Tree (Williams Pear) 4-5ft tall. Cultivar:'Williams' Bon Chrétien '. It is often eaten raw, but holds its shape well when baked, and is a common choice for canned or other processed pear uses.Harvest from mid-August to mid-September. ARAUCARIA ARAUCANA 30 seeds. The Monkey Puzzle is the hardiest species of conifer genus Araucaria. MONKEY PUZZLE-. It does not have male and female cones on separate trees so it is important to buy fertilised seeds. The fruits continue to ripen until late September. Die Früchte reifen weiter bis Ende September. You can indicate your preferences in your special notes when completing the order. Excellent fig variety with great taste and perfect market color and shape. Eucalyptus deglupta, also known as rainbow eucalyptus, is an evergreen tree that hails from the Philippine island of Mindanao. Under ideal conditions, which include full sun, plenty of water and well-drained soil, the tree can grow about 200 feet tall. 10 WHIN BUSHES. Its double, golden-yellow blooms, marked with red at the base of petals, are fragrant, with the scent of coconut. It's one of the best shrubs for poor dry soils where little else will grow. In late spring, the whole tree is covered with beautiful pink-lilac and fragrant flowers, each around 5cm long and shaped like foxglove flowers. Native to China, this is one of the fastest-growing deciduous trees on the planet. Its also fantastic for improving nitrates in the soil! this new variety is also incredibly hardy! hardy to -20c!, they can grow up to 14-16ft in one season! Syringa vulgaris (lilac or common lilac) is a species of flowering plant in the olive family Oleaceae, native to the Balkan Peninsula, where it grows on rocky hills. It is not regarded as an aggressive species, found in the wild in widely scattered sites, usually in the vicinity of past or present human habitations. 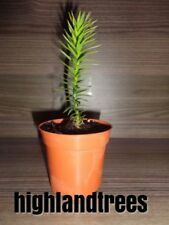 O ne Monkey Puzzle Tree Seedling, sent bare root like in pics 2 and 3. The main pic gives you an idea of what it will look like once you have potted it up. Everybody loves the Monkey Puzzle Tree. Its most unusual leaves, shape and form makes it stand out from the crowd. Together with comprehensive, easy to follow growing instructions. Adapted to our conditions it wont suffer like a dutch hothouse plant. This is an outdoor palm suitable for planting out in the garden, hardy to UK conditions, it is not a good house plant. 50 Hornbeam / Carpinus Betulus Plants. 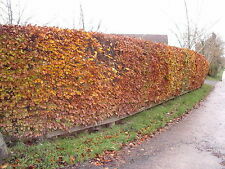 Although it is deciduous, it retains its coppery dead leaves throughout the winter so it remains an effective screen. 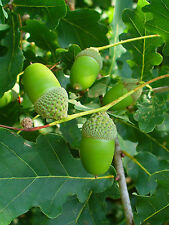 Green catkins appear in spring and winged nuts develop in autumn. 10 Red Oa k / Quercus Rubra - Plants 40-60CM Bare-Rooted. Beechwood Nurseries are based in N.Ireland and have been growing plants since 1997. Genus: Quercus. The leaves are greenish on the top side with a bluish tinge below, but they really flare up in the autumn when they turn red before falling. Araucaria Angustifolia – Parana Pine. Your Parana Pine. Prized for its edible nuts. These are around 15/20cm tall and are two years old. Cercis Chinensis - Chinese Redbud. 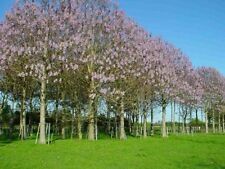 The Chinese Redbud, is a fantastic sight when in flower, a shrub like tree. All seed orders are sent out in padded envelopes, to protect your seeds. Only available in EU countries. In spring bronze coloured leaves unfold. Fully hardy. Mature Height: 5-10m. Tree Specs. 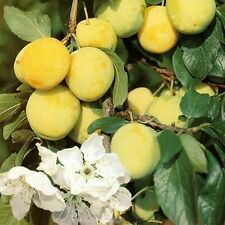 It can be kept in a pot inside or outside and will crop best in a sunny spot.You will be able to produce a lot of fruit from a small space with this small Nectarine tree.Large fruit, bright red with yellow skin and very tasty. Eucalyptus deglupta (Rainbow eucalyptus, Mindanao gum, rainbow gum) – withfull instructions for germination. The trees are heavily used for pulpwood plantations for paper production within the Philippines. Trachycarpus fortunei seedlings, one leaf seedlings in first picture, sent bare root in padded envelope. Cypripedium montanum. This is a beautiful hardy terrestrial orchid that gets green foliage and clusters of white flowers with maroon and yellow highlights. They are hardy to zone 3. Feature:red fruit, juicy, tasty. style: beautiful outlook and tasty inside. GBP 0.99 22 sold. GBP 0.99 21 sold. GBP 0.99 15 sold. GBP 0.99 12 sold. GBP 0.99 30 sold. color: shown as the picture. Material: oriental arborvitae seeds. All pictures are for illustration purpose only and Colours may vary slightly. Import Duties. You can follow below process to chontact us. A stratification of 1-2 weeks at a temperature of about 4°C can raise germination success. But it is not necessary to stratify the seeds. The seeds can be put directly on the substrate. They should be only pressed slightly into the substrate, they need light to germinate. NEW SEASON CROP, FROM GROWER, GENUINE PISTACIA VERA! Sequoiadendron Giganteum. Giant Sequoia Redwood Tree. which is essential for successful dispersal of its seeds. All seed orders are sent out in padded envelopes, to protect your seeds. average height of 50 - 90m tall, and. 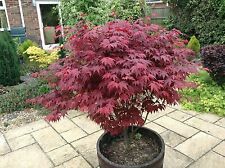 10pcs Red Maple Seeds. Material:Tree seeds. Color: Red. This acer is a graft. Bolusanthus speciosus, Wisteria Tree. Astrikingly beautiful tree from Southern Africa, staying muchsmaller (under 3 feet ) if grown within a shallow bonsai pot, or eventually growing (very slowly) to a height of around 5-10 feet (1-3 m) within the ground. Cydonia Oblonga - Quince. Cydonia oblonga - Quince - is a small deciduous tree native. All seed orders are sent out in padded envelopes, to protect your seeds. that bears a fruit, similar in appearance to a pear, and bright golden-yellow when mature. Zizyphus Jujuba - Jujube Tree. around 10m in height. Produces the Jujube Fruit, which are round. All seed orders are sent out in padded envelopes, to protect your seeds. We have a flat fee for seed orders. The much smaller, fluffy, fertile flowers are partially visible beneath the showier, sterile ones. Larger flower panicles can be obtained by thinning the plants to 5 to 10 primary shoots. In full bloom, the weight of the flower panicles will typically cause the branches to arch downward. These plants get wonderful light pink flowers in spring and have a great weeping habit - they can grow lage, to 35 feet or more. They are hardy to at least USDA zone 4, and possibly colder. 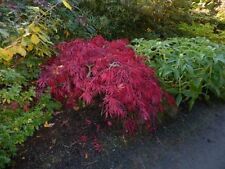 Purple Ghost Acer Palmatum Japanese Maple Tree Seeds X 20 . 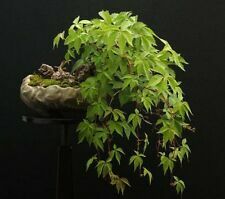 Feeding: Especially for mature Japanese Maple Bonsai the use of solid organic fertilizers is well-proven, as it takes effect slowly and gently and generally contains all the required micronutrients. I have here Pinus mugo Carsten's Winter Gold. Dwarf Mountain Pine. Max Height 60cm. Max Spread 80cm. The plants are approx. I have a further batch of these which will be ready very soon. 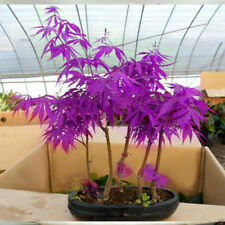 These make great bonsai and are ideal for a novice. I have here Picea pungens Lucky Strike. This beautiful spruce has a relatively open shape and ascending growth habit. 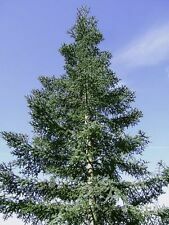 The height of the Colorado Spruce 'Lucky Strike' can reach up to about 120 cm after ten years. Product Type:Bonsai. Exotic seeds:pine seeds. Model Number:seeds. Planta:garden flowers seeds. We are sure that we will give you the best solution in every single trouble that you want us to resolve. Diospyros virginiana AMERICAN PERSIMMON TREE Seeds!